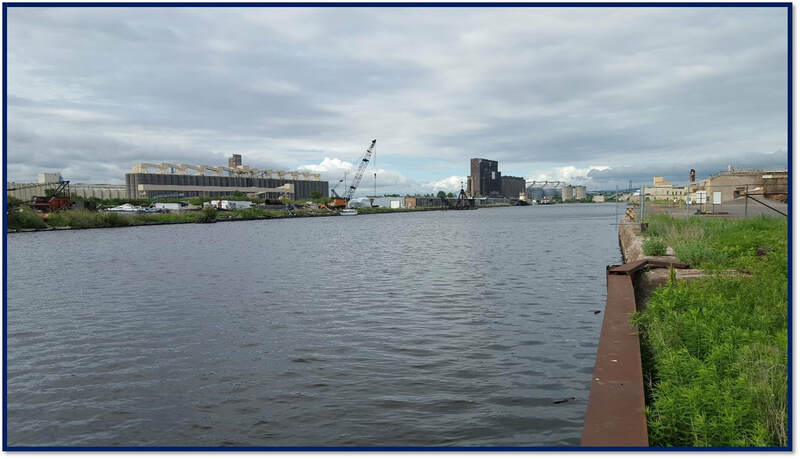 The sediment cleanup of Slip 3 and Slip C is complete! The St. Louis River is the largest tributary feeding Lake Superior. For centuries, the river has been of cultural and economic significance to the people living along its banks. 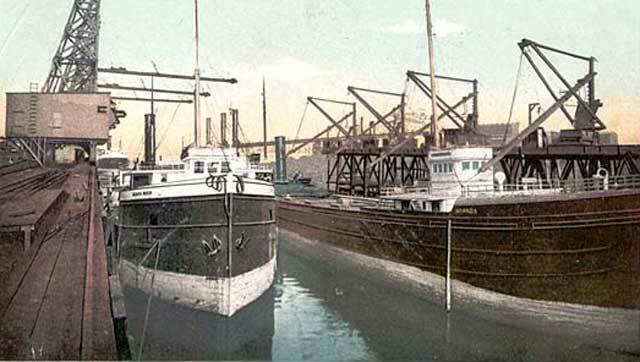 The Duluth-Superior Harbor, which sits at the confluence of the St. Louis River and Lake Superior, was an appealing location for large-scale maritime and industrial activities, beginning in the late 19th century. The area's industrial heritage includes a legacy of sediment contamination—decades-old deposits of chemicals and heavy metals that remain in the riverbed. Many areas of the harbor still contain concentrations regarded as harmful to human well-being and the health of the ecosystem. Through the St. Louis River Area of Concern Remedial Action Plan, several sites have been cleaned up and restored. Among these are Slip 3 and Slip C, man-made slips which have been altered and used by multiple industries since their construction more than a century ago. ​Slip C and Slip 3 are located on the northwestern edge of the harbor in Duluth, MN and are within the St. Louis River Area of Concern. Slip 3 is an approximately 2.75-acre slip located on the northwestern edge of Duluth Harbor. It is currently home to a docked boat used for entertainment. 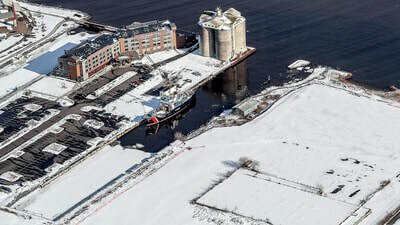 On its east bank lies the Pier B Resort and Hotel and to its west, a vacant lot owned by the Duluth Economic Development Authority. A plan for a mixed-use commercial-residential development project is under consideration for this lot. Slip C is situated just to the south and west of Slip 3. It is the northernmost slip on the east shore of Rice's Point. At 12 acres, it is significantly larger than Slip 3. The slip is currently bordered by three properties: a timber company, a mineral production company, and a former paper manufacturing company. Unlike Slip 3, Slip C is in active use and sees regular shipping traffic. The remedial cap covers areas where contamination concentrations exceed guidelines. 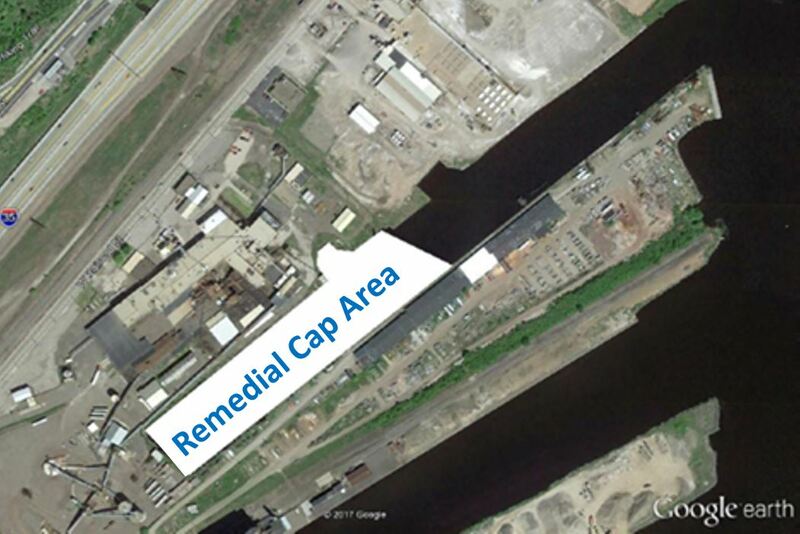 The area of Slip C that will be capped is pictured here (Photo Credit: Minnesota Pollution Control Agency). Note: Areas where contaminant concentrations exceed guidelines were identified and capped with a thick layer of sand and armoring stone. This method does not require dredging or offsite disposal. Because existing sediment was not removed, the depth of the slips will be decreased—at maximum, by 28 inches. The total area to be covered by capping is about 0.88 acres in Slip 3 and 6.4 acres in Slip C.
​Minimizing exposure to contaminated sediment prevents bioaccumulation, where pollutants become concentrated in the tissues of the body. Fish and wildlife that are most-impacted are typically the largest, oldest predators in the ecosystem. This is why there are limits on how much fish people should eat. The project also creates a healthier habitat, which can lead to increased biodiversity and abundance of fish and wildlife. The organisms that live in the sediments are the base of the Great Lakes food chain, so benefits to these populations flow upward. Decreased levels of contamination also make it possible for species that are intolerant of pollution to return to the area. The character of the Duluth Harbor Basin has been altered over time. Several slips that were present in 1939 (left) were later filled and built over (Photo Credit: Minnesota Pollution Control Agency).